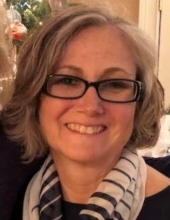 Tracy Marie Morris, 50, of Staunton passed away Wednesday, March 20, 2019 at her residence, surrounded by her loving family. Ms. Morris was born May 6, 1968 in Charlottesville, a daughter of the late Jerry Lee Morris and Virginia Marie (Wharm) Gibson. Tracy was a member of Victory Worship Center and was employed by Comcast as a Facilities Coordinator for eleven years. She supported Lee High School and loved the University of Virginia Cavaliers and attended various sporting events. Tracy led by example and had a strong faith that helped her being a single mother and her fight with pancreatic cancer. She fought it with everything she had and supported various walks and events to bring about awareness and funding to battle cancer. She is survived by her step-father, Bruce W. Gibson; two sons, Tyler Craft and Noah Morris; three sisters, Becky Awad (Chris), Barbara Gibson Clark (Les), and Tiffany Gaucher (Tara); a number of nieces and nephews and her Comcast family. A Celebration of life will be conducted at 11:00 a.m. Saturday, March 23, 2019 in Victory Worship Center by Pastor Ray Eppard. The family will receive friends following the service, in the church fellowship hall. Tracy requested that family and friends attending the celebration of life wear the color purple or a #Tracystrong shirt. Memorial contributions may be made, in Tracy’s memory, to Victory Worship Center Youth, 200 Hammond Lane, Staunton, Virginia 24401. The family would like to extend a special “Thank you” to the Hospice of Piedmont, Dr. Tri Le, Barry Munsey, PA, and best friend and caregiver Connie Hodge for their loving care and support during Tracy’s illness. To send flowers or a remembrance gift to the family of Tracy Marie Morris, please visit our Tribute Store. "Email Address" would like to share the life celebration of Tracy Marie Morris. Click on the "link" to go to share a favorite memory or leave a condolence message for the family.